Personal relationships are key to Tradition Homes. 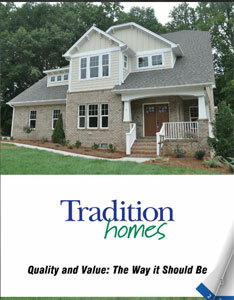 Tradition Homes is a locally owned homebuilder based in Greensboro, N.C. Formed in 2009, a group of community professionals with more than 150 years combined experience in the homebuilding industry came together to build new homes and neighborhoods that offer value, contentment and community. The company’s ultimate goals are customer satisfaction, sustainability and community partnerships. 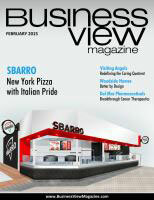 “Quality & Value. The Way It Should Be!” is the tagline Tradition Homes stands behind, and it takes pride in providing the essential elements for today’s living in every home it builds. These elements include plenty of space, energy and efficiency at an affordable price. The end result is a new home its clients can be proud of at a price they can afford for years to come. Personal relationships are key to Tradition Homes. The company prides itself on close, personal relationships that are long lasting. Its agents and staff are passionate about helping others realize the dream of homeownership and are trained to assist the client with all aspects of the process – from contract to closing and long after. Referral sales and repeat business are proof of its dedication to buyers. Tradition Homes also prides itself on relationships with our local realtor and trade partners. Longevity with those relationships has been built on mutual trust and respect and the company believes that buying a home shouldn’t be a burdensome task. It should be a team effort that is exciting and rewarding for all involved. The “secret” ingredient that makes this possible is Tradition Homes’ commitment to open, honest communication. Tradition Homes keeps up to date on the best advances in homebuilding, especially energy efficiency. It takes pride in exceeding industry standards, as each home must pass inspections performed by a third-party quality assurance program. It offers quality craftsmanship, superior materials and attention to detail to deliver the highest-quality home at the best possible value. It is committed to doing the right thing before, during and after the sale. 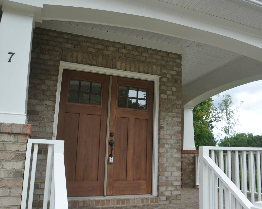 Tradition Homes offers an upgraded warranty with each home it builds, and its warranty department is very responsive. It is committed to giving back and helping others in every community in which it builds. It has volunteered with Habitat for Humanity and is also active with local builders and realtors associations. 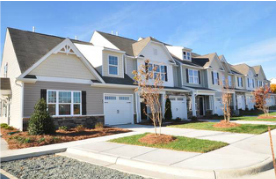 Tradition Homes now has eight communities in the Triad area. Its townhomes offer a low maintenance lifestyle with spacious plans and convenient locations. Its villas offer the amenities for those ready to downsize and live comfortably without the stress of maintenance. Its single family homes offer abundant space for growing families in planned communities each with unique amenities. The company’s future goal is for its brand to be instantly recognizable as it expand into new markets. Check out this handpicked feature on Universal Asset Management. WHERE: Corporate headquarters in Greensboro, N.C.